The round shape of the Cambro RFS22PP190 storage container allows for air circulation around the vessel, which helps ensure product inside is properly cooled when it is stored in a refrigerator or freezer. 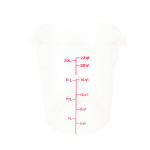 This 22-quart container is made of translucent polypropylene that allows product visibility and red graduation markings that can be used to ensure correct measures when mixing in the container or to see how much of a product is stored inside. 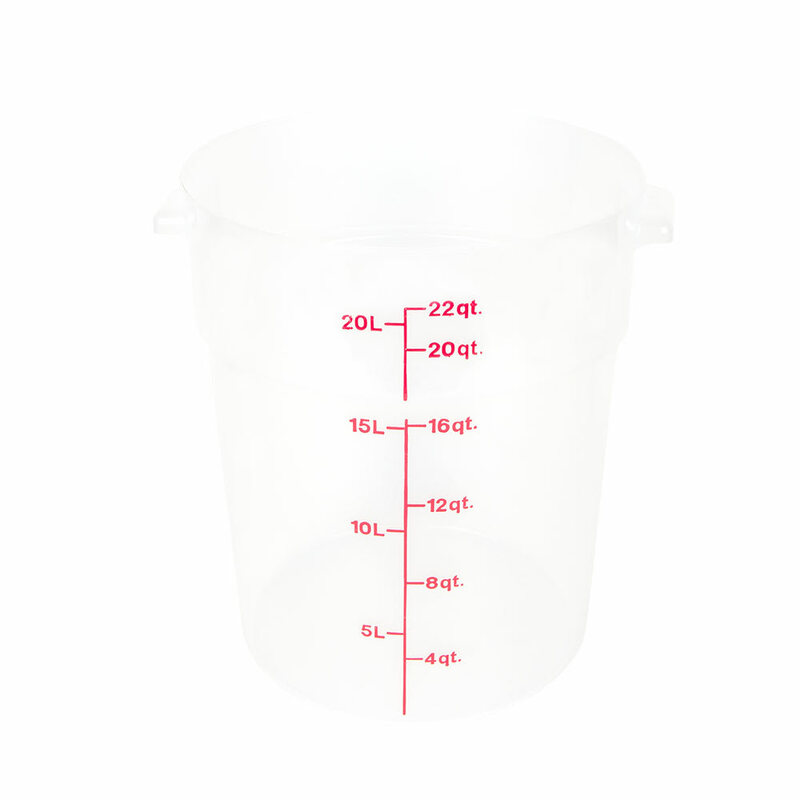 The Cambro RFS22PP190 round storage container has two handles on opposite sides from each other that have holes in them that promote complete drying to keep the unit sanitary.